Few other flutists in history have made such indelible marks in so many musical circles. From jazz to pop to classical, television to film to the concert hall, Jim Walker has never met a crowd that didn’t love his powerful, “stand and deliver” performances. in the Los Angeles Philharmonic and never looked back. diving off the mountaintop into the world of jazz, studio recording and teaching. a “Most Valueable player” by NARAS in Los Angeles. Life was equally good for Jim Walker in LA’s famed studio scene. Until his retirement from the studios in June of 2010, he was a first-call studio flutist for the better part of two decades. His bold, expressive playing can be heard on hundreds of soundtracks and commercial recordings. His playing became the gold standard from Hollywood to Carnegie Hall and unlocked the door to studio and concert collaborations with everyone from John Williams and Paul McCartney—“the thrill of a lifetime,” says Jim—to Wayne Shorter, Leonard Bernstein, James Galway, and the LA Guitar Quartet. After all the reviews have been written and the stage and studio lights dim, however, Jim has said that the one aspect of his career he will maintain to the grave is teaching. He has been filling his students’ lives with music for five decades now, just as his own parents—Bob, a jazz clarinetist and public school band director, and Barbara, a church organist—filled his upbringing in Greenville, Kentucky, with piano and flute lessons. He went to the University of Louisville where he was selected to be a member of the Louisville Orchestra (his first real "classical gig". He became a Honors Graduate and “Distinguished Alumnus” of as well as the University’s first “Alumni Fellow” (from the School of Music). To this day Jim credits a parade of flute teachers with helping him rise through the ranks, from Sarah Fouse and Francis Fuge in Kentucky to the Metropolitan Opera’s Harold Bennett, the Philadelphia Orchestra’s James Pellerite, and internationally renowned flutist and conductor Claude Monteux. the University of Texas-Austin, and Arizona State University. future generations can continue to benefit from his wealth of knowledge and generosity. 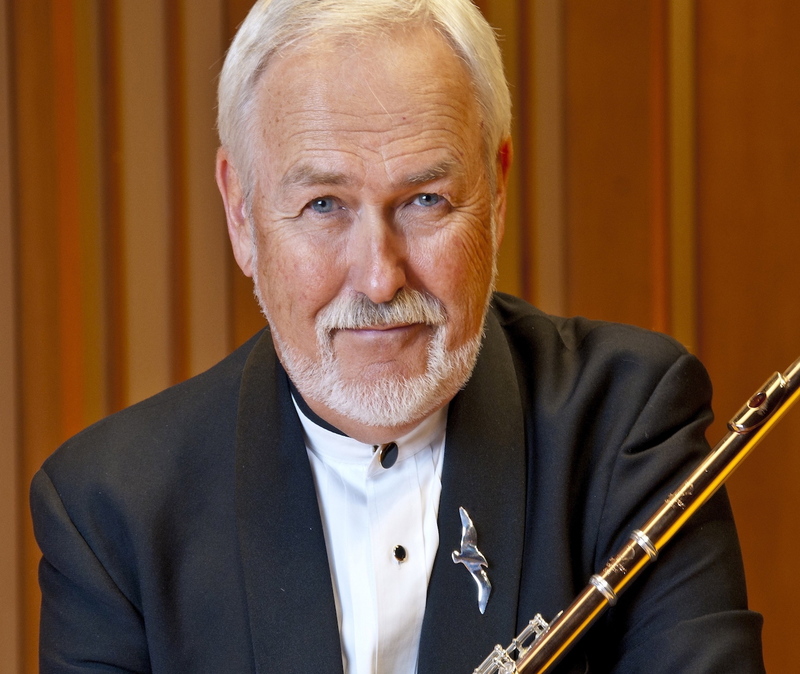 Dynamic soloist, legendary orchestral and studio musician, celebrated jazz flutist, and an inspiration to countless students worldwide, Jim Walker is living proof that with enough creativity and determination, it is possible reach the stars. He is a living legend, and a true Renaissance Man of the Flute.